Borderland Beat: "They are going after their heads": What is going on in Tijuana? "They are going after their heads": What is going on in Tijuana? Tijuana, May 21st. 2015.- They call themselves "Nueva Generacion Tijuana"(Tijuana New Generation), they are the heirs of the Arellano Felix brothers, they "work" for those surviving the founders of that cartel, and according to consulted sources they are getting "revenge" for "treason" and doing a "clean up" of those who refuse to abandon "El Aquiles" and his brother "La Rana" and either "pay taxes or leave the business"
According to comments made by AFN´s sources, "revenge" is being taken against Municipal Agents and Agents of the State´s Attorney Office who "jumped ship" and joined the Arzate brothers, meanwhile the "clean up" is targeting drug retail leaders, mainly "galleros and burreros"(mules) from the area of El Murua. It was said that some of the heads found belonged to this people. This criminal organization-along some alleged Michoacan drug dealers (Tijuano: I´m sure they mean CJNG as Mencho is from Michoacan) first hung a warning banner on April 5th threatening "El Tomate and his people"(Tijuano: Actually it read "La gente del Tomate", which I believe meant Sinaloans in general) while it made clear they would not go after the general public or the authorities. The message was meant for Israel de la Cruz who allegedly worked for the Sinaloa people. After that there were a couple more banners and a few executions committed without extreme violence, however, in the following weeks the criminal activity grew, as did the written threats which were left, among other ways, written in AFN´s website, one of them read "the worst is just beginning". Apparently, or so it was said, Municipal Agents and members of the State´s Attorney Office who were working along side the "Tijuana group" changed sides because they "wrongly thought that the family had no power left", this was stated by one of the consulted sources. Meanwhile, they said, the brothers Alfonso and Rene Arzate Arteaga left Tijuana and are currently in Mexicali where they operate via cell phones with people still loyal to them but who are part of the lower ranks of the organization. They even mentioned that, in order to commit their crimes they hire addicts who get paid with meth doses and "that´s why they fail". One of those consulted claimed "If you saw a direct hit, I mean that the criminals were actually able to kill their target, then it was the Tijuana people, but in the other hand, if they fail, then they are part of Sinaloa". 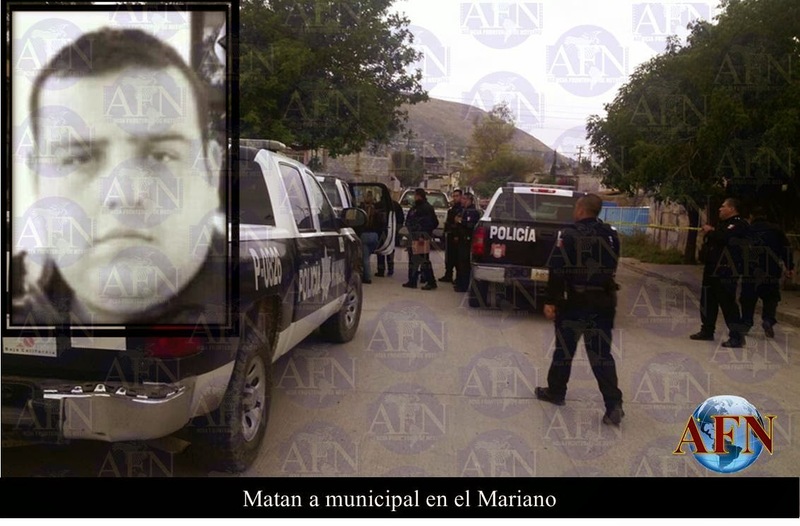 According to this, the first hit which triggered the fury of the Tijuana group was the execution of Esaul Sahagun Pelayo, who was oficially mentioned as a bodyguard to Luis Manuel Toscano Ramirez aka "El Mono" this past April 9th. "People believed "El Mono" was the shot caller but the truth is his companion was a influential and key element in the local group"
"He was number four inside the structure and the one in charge of the dirty work; under him were the Police Agents working for CAF". 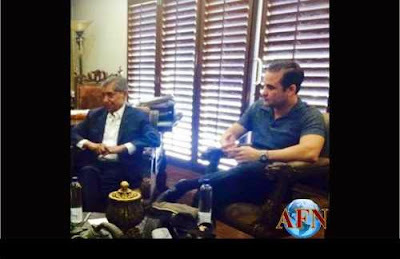 Before this, the September 26th, 2014 arrest of Jose Daniel Canales Rodriguez aka "El Ramses", a kidnapper working for the Arellano heirs, had gotten them in the Government´s spotlight. Canales Rodriguez previously worked for the Forensic Unit of the State Police and quit at the same time he joined CAF; then he got a better job and allegedly was of good use to them because he had a badge and a cop car, however, upon his arrest, it is said he began revealing stuff and "gave them many", which basically means he snitched on them. In the case of "El Mono", who also worked for CAF, it is believed someone in his family betrayed him, since he had given power to his brother-in-law and cousins and when they jumped to the Arteaga side, then they decided to get rid of whom allegedly had control over Zona Norte in Tijuana. However, when they killed him, they also killed Esaul, which in return got the Arellano heirs in a war mindset, this deciding to take vengeance for it. After that, anger grew when people allegedly sent by "people of El Akiles and La Rana" tried to execute a former agent called Nidez, killing instead another State Investigator and trainer for the State´s Attorney Office, called Itzel Medina Garibaldi who at the moment was shopping used parts in the Junkyard known as "Shagy" where she arrived in company of Nidez, who ultimately saved his life. The anger had less to do with the death of the State Investigator and was more related to the fact the killers dared to get inside a place belonging to another person close to the narcotrafficking group led by a former agent known as Nery, accused by his rivals of "gossiping up and down". In this case, it is said that people working for the Sinaloa drug traffickers decided to kill Nidez, who they blame for the loss of 10 kilograms of crystal meth from a shipment which "had already been bought from the Tijuana people". Asked about this agent, the consulted sources claimed he was a "free agent" in the narco world, because he doesn´t work for anybody in special, but for those who pay the most. Allegedly, weeks after the arrest of "El Ramses", Municipal Agents where escorting a group of people carrying crystal meth on their way to deliver it when they were suddenly intercepted by State Agents, who were allegedly tipped by Nidez who had alse been tipped by people belonging to the Sinaloa group. A confrontation took place and they notified State Police Operational Chief Juan Manuel Ojeda Sotomayor, who at the same time notified Deputy State Attorney Gilberto Cota Alanis who informed State Attorney Perla del Socorro Ibarra who ordered for all the group to be removed, something which apparently never happened. 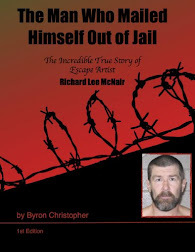 The detainee or detainees was/were taken to the Federal Attorney General´s Office where they confessed it wasn´t 15 kilos-as it was reported- but 25 kilos of crystal meth he/they were carrying so he/they believed the agents could have kept the drugs and some versions even mentioned they were already selling it, so the order to kill them was given. Agent Nidez was then set free and days later another banner was hung, allegedly signed by the deceased agent Itzel Medina in which she reproached Sotomayor and Miguel Velasco, chief of the murder investigation division, of not doing anything to avenge her which "they knew" was ordered by "La Rana" who is working with them. 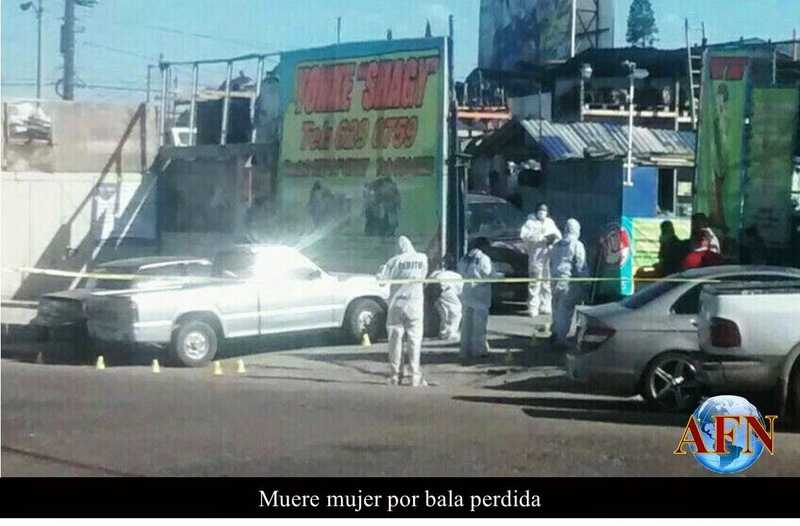 In regards to the execution of Municipal Agent Juan Jauregui Ruvalcaba this past May 20th when he left his home, it is believed it was ordered by "The people of Tijuana" even thou the Minicipal Public Safety Agency claimed to have arrested the alleged suspect who-unofficially" killed him "for personal reasons". Anyhow, officially it was claimed the officer died "in the line of duty" and the authority even announced proper honours would be held this Friday. After his murder, mysterious hands hang two banners, one near the area where the execution took place and another one in the Americas bridge-they were promptly removed- they read "That´s going to happen to all those who are with La Rana". 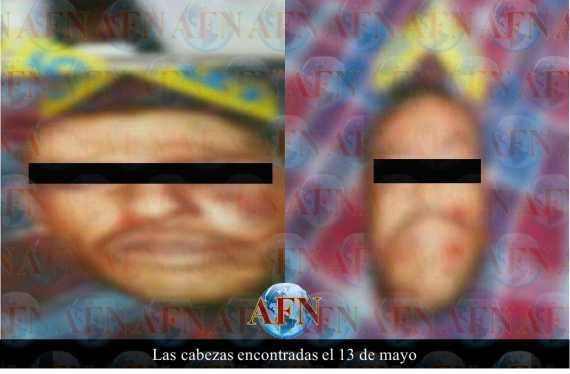 Regarding this Thursday´s case, about the execution in the 5y10 bridge of Public Ministry Agent Omar Fernando Velasquez Hidalgo, they claim it is related to the two heads found inside a cooler this past May 13th, left with a message threatening several people, including "Journalist Ivan Villegas". They claim this message was directed at people working in the newspaper where allegedly Villegas works, they believe so because Velasquez Hidalgo was related to the owner of the newspaper(PRI member Eligio Valencia), there are even pictures showing him in an interview along Eligio Valencia Roque and in a visit to Mexican Congress along plurinominal candidate Eligio Valencia Jr and Villegas himself. And lastly, regarding those decapitated, they insist the victims are "mules" who have refused to leave the Arteaga group after members of the "Tijuana group" ordered them to "pay taxes to them(Tijuana)" or leave the business. In recent days, three more human heads have been found, none of which have been identified by authorities. nor there has been an explanation given for the most recent murders. Original Article in Spanish can be found at AFN TIJUANA. Thanks tijuano I really appreciate this. I'm from tijuana but I move to texas last time i was in tijuana was las December. I stayed in la Sanchez and some friends told me this was going to get bad. Can i ask you about beto cervantes? Singer of explosión norteña any news since he got of prison? His bringing back CAF corridos. I heard about Beto´s return after being set free from Puente Grande, to be honest I haven´t heard much about him but it seems he is promoting his old CAF songs and promised some new "authorized corridos". I was told he was going to sing to Mayo now, but who knows, seems unlikely. The problem with the michoacanos is the same as the cds..they like to brag, flash and dont know how to keep their pie hole shut..and that will be their downfall..yeah they have the foco and are paying piso like they should.but alot of them are deported and addicted to meth..anyway..en tijuas la cosa es bajo el agua..nobody says nothing and nobody knows nothing! Thats how you stay in the game..everybody says caf is done..blah blah blah..but they have always been and will always be a force in la frontera mas grande! Great to see you back at it Tijuano, everything ok now? At least for the time being it seems so! Saludos Chivis! Thats good that Arellano Felix is flexing some muscle in Tijuas, gotta show these young whipper snappers quien son los meros gallos de Baja. Sounds like AFO doesn't exist after all. There is something about not snitching to authorities about people in your own group that helps build loyalty. Take note sinaloa AFO doesn't exist in Tijuana. Come visit with your fake mangerita corridos turned up as loud as you can nothing will happen. AFO doesn't exist remember? 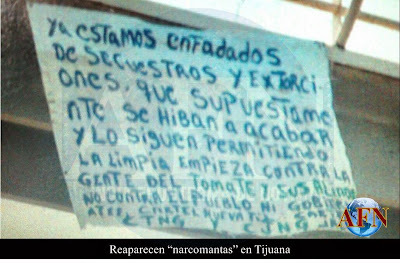 Tijuano I heard those cjng mantas where fake I heard they where to throw each other off or something like that. That´s what I heard too, even ZETA claims so, but lately ZETA has been a hit or miss, I really have no idea whats really going on right now, I hear a lot of different versions about the current situation but thought this article could be interesting and maybe could shed some light on whats going on. I still don't believe those cjng mantas there fishy sorry if I ofend anybody. That's what's up Tijuano thanks i didn't really understand what was going on in tj now I know! Stupid things can kick it off?The scenario may have changed with the demise of the Felix brothers in terms of control,supply,rules of a kind,now it seems like a free for all? Always mentioned is Aquiles/Ranas absence from TJ,but why would they be there putting themselves on offer? Frontera news. 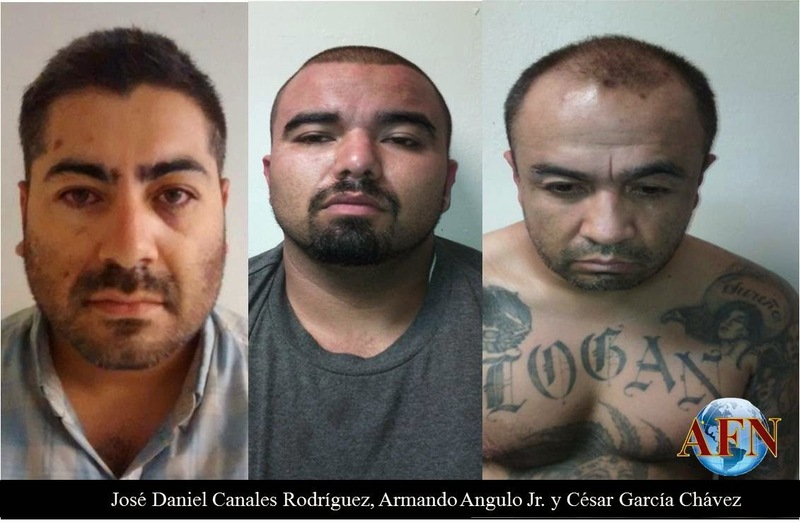 The police capture 3 individual's with guns and rifles they say that they belong to arellano Felix cartel and that they are responsible for the o current violence in tijuana. Already working on it, will post it later. Thanks! Very nice post Tijuano. What is interesting to me is to see this aggression from the people of TJ. They may lose this battle but they are fighting for their people and territory at least. When "Inge" was still in town it seemed as though this group had no balls, now it looks like it was their leader that had no balls as the boys left are currently and vigorously getting down for theirs. It must be mentioned that Aquiles and his brother have been going strong in TJ for quite some time. I know for sure since the early 2000's and it may be even prior to that. 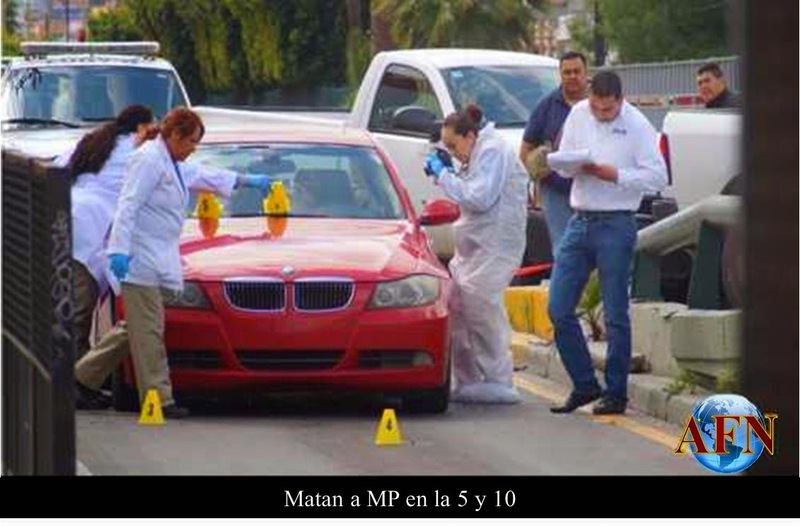 You mean to tell me that Mayo's people don't have professional killers in TJ? If in fact this is true I find it hard to believe that people cant be brought in from other regions to "clean", especially when the city and surrounding area is worth literally hundreds of millions of dollars. Much like Barrio Azteca and the people in Juarez, a cross border pipeline of hitters is what is needed to handle this current situation in Tijuana. Ramon Arrellano was a brutal psychopath but a very effective narco who controlled Tijuana hands down. He wrote this playbook. To me it seems as if Inge wanted to keep everything quiet, he wanted no trouble and felt he was fine with what he had kept, maybe he didn´t have as much greed, maybe he didn´t have full support, IDK. Aquiles and his brother actually rose to prominence in the Teo/Inge war, they were low level players before that but when Teo went berserk against Inge, the brothers saw and opportunity and took it. They began working for Mayo with an agreement with Inge but it seems they gained so much power they felt they no longer needed Inge or anyone else, and that´s what brought us to the situation we have now. David Barros was a crazy MF, that´s for sure. No seas wey. Los beltranes rifan en Sinaloa. Alli hay respeto mu tal con tj. K paso en 2010 cuando el ruedas fue a Culiacán a retar al mayo y chapo? --One pretty zoo tijuana, and who likes zoos more than Jorge hank rohn? 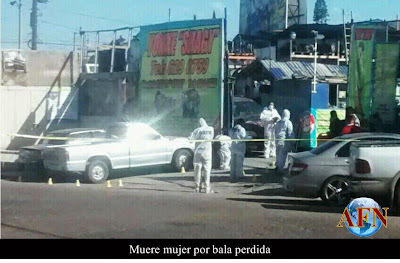 shoot out in Michoacan, 20 dead. any updates??? This article actually took a 180 flip and says it backwards. Lol blah blah blah LA rana y akiles son los Buenos whatever then forward some copies to LA dea in SD so they can get to work on them fuus.menos ruido mas accion pays. When Mono was capped,I wonder if they knew Pelayo was the main man out of them? Someone on here(BB)said at the time of Monos death,that Pelayo was more important? For all intensive purposes the CAF name is dead. The people who worked for them and the new people from TJ who work for them ARE STILL THE TIJUANA CARTEL CDT, TNG, etc. The Tijuana Cartel is still around, and is growing and laying low, staying quite, but they are there. Now whatever name they want use is up to them. If they want to pay tribute to their roots and call themselves CAF, ao be it. They are not obvioulsy not the strongest cartel in MEX anymore, but in TJ it seems that they are beginning to bring things back under their control, and after that who knows how much bigger they will get again. The Sinaloa cell leaders in TJ dont even live there, so that right there proves that TJ Cartel are still stronger and getting stronger. Hey I love Eastbound & Down. That show was hilarious! HAHA, yes it is. It has to one of the greatest shows ever, for those who get it and understand the humor. Stevie on EB&D was a comedic genious. La Flama Blanca is my avi name in the forum. simon el gordito era el bueno... era el ke tenia la linea directa con la gente del caf..
Wtf is it that grown men sit around in a garage or basement with crayons and magic markers making kindergarden messages on white cardboard + hang them around the town? How stupid is that. Can anyone see Presidents/Kings/Prime Ministers making 'mantras' for their enemies? Cartel members grow up! Welcome 2 a new type of warfare. what happened to el cholo? Los Cabrera de Durango empesaron a meter gente a Los Zetas en Coahuila and mandaron un chingo de gente para Sonora .... I know it's not related to the article but that's word on the street... Sonoras about to blow up. I have followed Juarez for years. I new that city and the people from there. I even new some of the players in the day. The criminal culture of Juarez would never give in to an outside cartel to take there game. The took on everything Sinaloa could bring plus the Feds, the Military and even Calderon. That blood ran so deep, the world had written them off but guess what. They stood strong and are more powerful everyday. Juarez had several Aces in the hole. La Linea was brutal are never ran. The Astecas were every bit as tough as anyone and loyal too. But even so, the advantage of have opium and marijuana in the region help the cash flow and help them to make their comeback. I find it have to think that in the end, the 3 generation of CAF will allow CDS to own their plaza. partnering with CJNG for a very strong source could solve some of their initial problem. CDS has so many enemies outside and within that another war will damage what the have left. TJ gangsters aren't going to turn over their # 1 export to people outside their region. CJNG is international all they way. TJ can trade no payment to export through TJ for cheep prices and armed support from CJNG. 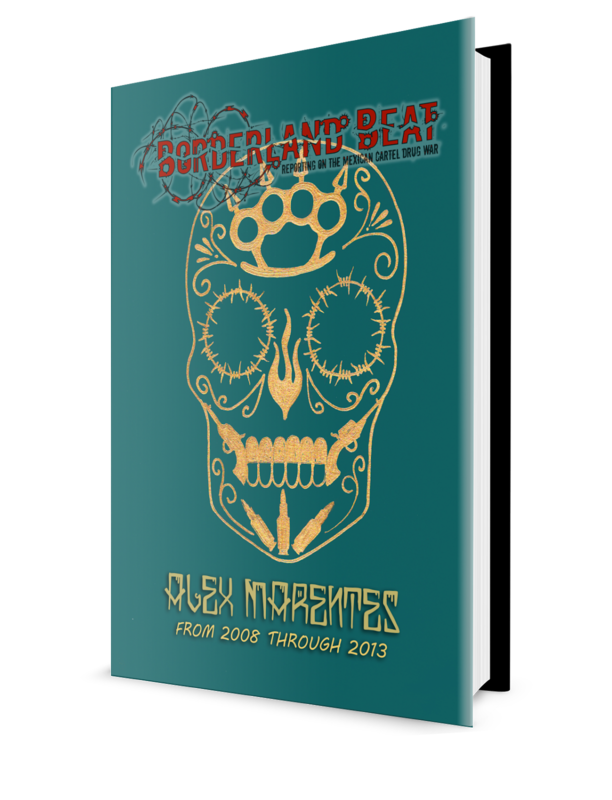 Juarez partnered with Zetas and BLO against everyone's enemy, CDS to accomplish the same in Juarez.